You'll be £11.99 closer to your next £10.00 credit when you purchase Struggle and Suffrage in Swindon. What's this? As the industrial revolution and the coming of the railways transformed the Wiltshire countryside Swindon women were on the front line of change, shaping the new industrial town and transforming the old market one. Incomers arrived from the great railway centres across the country to create a welcoming, tolerant and creative community with women’s contribution at its heart. Following the incorporation of Old and New Swindon in 1900 innovative women stepped up to the plate; women like Swindon born suffragette Edith New who challenged political conventions and Emma Noble, Swindon’s first female councillor, who campaigned to improve living conditions in the town. During two world wars Swindon women worked in the railway factory in jobs once considered beyond their strength and endurance. Women supported the war effort on the home front, volunteering in what little spare time they had. Women such as teachers Mary Slade and Kate Handley who during the First World War headed the Prisoners of War Committee, which sent food parcels to soldiers from the Wiltshire Regiment held in German prisoner of war camps. Mary Slade was awarded the MBE in 1920 but her work didn’t end there. Mary Slade and her team continued to support the bereaved families beyond the armistice and through to the end of the Second World War. 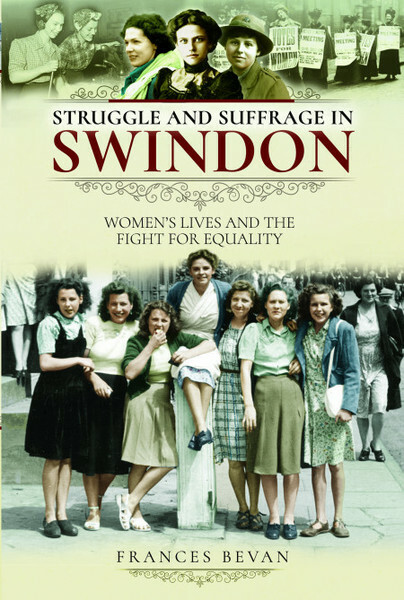 The story of Swindon women includes artists and actresses, political activists and social reformers and the ordinary women who worked in the factories, raised their children and made a difference.